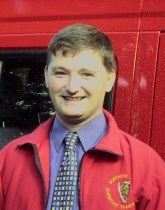 Graeme has been with the training team since 1985 and was the ASO(AT) from 1997 to 1999. Graeme is an experienced mountaineer and has particular expertise in team and leadership development. Currently working for the MoD, based near Bristol, he is available to support any unit requiring assistance.